The fixed speed control panel is single speed control panel with starter / stop functions. Relatively speaking, this panel is easy to produce with lower cost, and the operation procedure is also very simple. For customers who only need single speed centrifuge like 3200rpm or 2700rpm or 2200rpm, may go to this single speed centrifuge with single speed control panel. However, if the experienced customer wants to achieve better performance, they may go to variable speed centrifuge with variable speed control panel. With this panel, the speed can be adjusted flexible from low speed to middle speed to high speed. Another, differential speed can also be adjusted for better performance. GN Solids Control variable speed control panel with 3 units ABB frequency transducer, can adjust the speed in a very convenient way. The dimension of the control panel is about 1.5m X 0.8m X 1.7m. For all other equipment with motor drive, all can be design into variable speed with ABB frequency transducer. 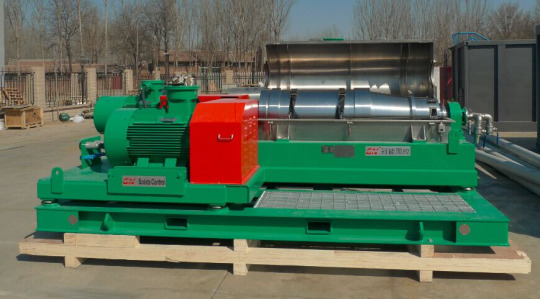 Like variable speed screw conveyor, variable speed feeding screw pump, variable speed vertical cuttings dryer etc. Variable speed screw conveyor with ABB transducer panel is widely used in drilling rigsite. The customer can adjust the drilling waste / drilling cuttings transportation speed in a good way. Variable speed feeding pump for centrifuge with separate single ABB transducer panel is also very popular. In this case, the customer can easily change the feeding rate without effect from centrifuge. Variable speed vertical cuttings dryer is really good idea because of the large motor will produce very high prompt current when starting. With this variable speed control panel, the big motor 75kw can be started smoothly and stably.